One of the most daunting things about running your own business is the accounts. Some people have an almost morbid fear of it. However, if you’re trying to make a career at home for yourself, one thing you cannot do is ignore your accounts. 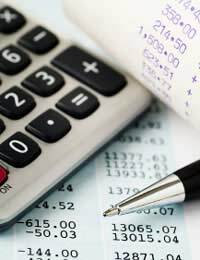 There is little doubt that you will have to pay an accountant to do your end of year accounts and tax form, but you will still have to keep track of your business’s day to day incomings and outgoings so that you have all the financial information required to give to your accountant each year. It is something all sole traders, small partnerships and those forging a career at home have to contend with. If you are just starting up your own business, here are a few tips to get you started with the simplest way of keeping accounts for your home business. There is, of course, software around to help you do this, but if you want to keep your costs down, and are happy to do it yourself then it can be fairly straightforward. I am going to assume that you have a computer and are willing to keep your accounts on the computer rather than in a hand-written ledger! We are in the twenty-first century, after all! Knowing your way around a spreadsheet is also essential, so if you haven’t got a spreadsheet for your home computer, you will need one, and need to know your way around it. The first rule for keeping your accounts is simple: keep track of all money coming in and keep track of all money going out. If you do that, you have pretty much cracked it. Can it be that simple? It sounds simple, but the second rule will help to make it so: keep up to date with your incomings and outgoings so that you don’t get behind or forget anything. Your Incomings and Outgoings spreadsheet will consist of one line for every single purchase, sale or money movement that your business ever makes.For every item, the spreadsheet needs to show the date, amount of money in or out, the overall balance, where it is held (e.g. bank or cash) and a reference code (e.g. Purchase Order 117, Invoice 2016, Expense 98). Your Invoice spreadsheet should contain a line for every invoice (money in), showing the invoice number (matching the reference in the Incomings and Outgoings spreadsheet), the date, the date due, the date paid, the amount, the status (paid, not yet paid etc), and the item (what it’s for). You must keep track of all invoices that are not yet paid. Your Purchase Order spreadsheet will contain the purchase order number, who the payment is to, the date, due date and date paid, the amount, the status and the item purchased. All purchases should be entered into this spreadsheet. Some, like paying for stationery at a shop, will be paid immediately. Others, like paying for a logo design from a local company, you would pay for within 30 days of receipt of the invoice. Your Expenses spreadsheet will have a reference number for each line, and the date, the amount, what is was for (e.g. car mileage), the reason (e.g. visit the design company) and the status (paid or not yet paid). The idea is to tie everything up from one spreadsheet to another, and keep track of the status of all items. It means keeping on top of things every day. Don’t let them pile up! It is also sensible to check your bank balance(s) every day to make sure they tie up with your Incomings and Outgoings spreadsheet. It is also important to use these spreadsheets as a forward view of future payments and incomes. In that way you can keep an eye on what your cash flow is going to be like in a few days, weeks or months. Cash flow is vital. Although the made up accounts in this example look healthy, yours may not always be so. Often, you may hover close to the line on your bank balance (with or without overdraft), and you need to avoid falling foul of fines. Watching your cash flow is critical. I hope you see this system as quite a straightforward manual one. I have been using it for many years, and as long as you keep up to date it is quite simple. At the end of the accounting year, you simple send all these spreadsheets to your accountant and (s)he will turn them into end of year accounts and complete your tax form.